Engr. Robert Manlapaz, the owner of the Roberto's Farm welcomes the guests and the farmers during the launching of his farm school. Another Learning Site for Practical Agriculture of the ATI-RTC 02 was recently accredited as Farm School of the Technical Education and Skill Development Authority (TESDA). 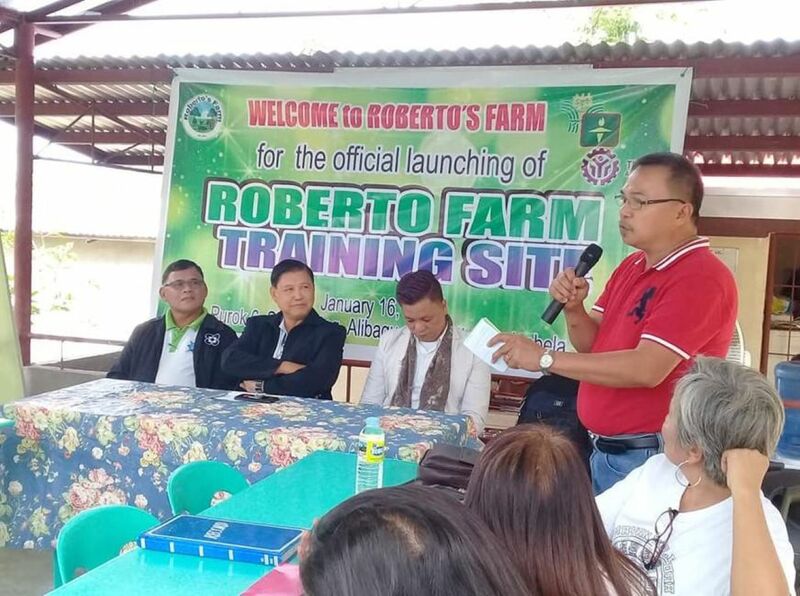 The Roberto’s Farm at Sitio Bating, Alibagu, City of Ilagan, Isabela was officially launched as Farm School last January 16, 2019. "ATI-RTC 02 is one of our strong partners in the accreditation of Learning Sites in support to the program of Sen. Cynthia A. Villar that there should be one Farm School in every municipality," said Dir. Nestor Ave, TESDA Regional Director. The farm is employing a full organic farming system. It has vegetable production, swine and poultry production, small ruminant raising. It also produces organic concoctions and plant extracts, and organic fertilizers. In 2017, the farm owned by Engr. Robert V. Manlapaz was accredited by the ATI-RTC 02 as one of its Learning Sites for Integrated and Diversified Organic Farming System. For the past years, it has become a partner of ATI in capacitating farmers and information dissemination. As a farm school, the Roberto’s Farm can now offer short term agricultural courses recognized under the Technical and Vocational Education and Training (TVET) system of TESDA. At present, the farm is now ready to accept trainees and students for the Organic Agriculture Production NC II. The launching program was graced by representatives from ATI-RTC 02, TESDA-R02, Department of Science and Technology, Provincial Agriculture Office of Isabela, Local Government Unit of Ilagan City, and Participatory Guarantee System- Isabela officers and members.